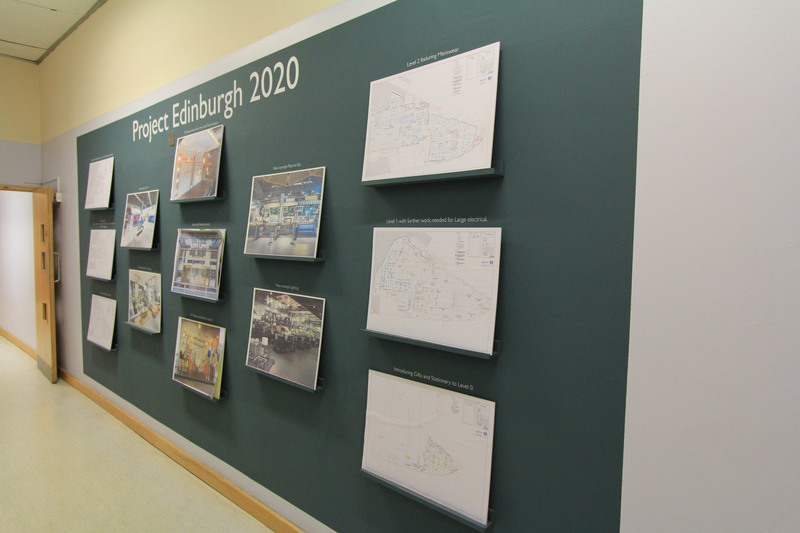 A project progress board has been created on a spare wall within the project offices. The board is made of a vinyl back ground with some ledges to place project plans, photo updates or CGI images. As this is a fit out job, these ledges will also be used to showcase samples of materials which are being used on site, for example a flooring sample might be placed here. We have found this to be a great way of keeping passers-by, visitors and the workforce engaged as the project progresses.